March 20 just got even more delicious on our calendar. The list of reasons for joy is long: the first day of spring, National Ravioli Day, Bock Beer Day and now the first annual Macaron Day PDX. March 20 just got even more delicious on our calendar. The list of reasons for joy is long: the first day of spring, National Ravioli Day, Bock Beer Day and now the first annual Macaron Day PDX. 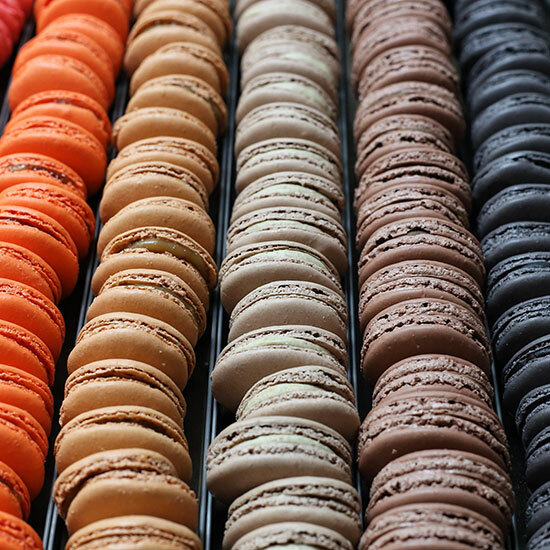 Led by patisserie and café Nuvrei, 15 of Portland, Oregon’s best pastry shops will be celebrating the Jour du Macaron, inspired by similar events launched in Paris by Pierre Hermé and in New York City by François Payard. Nuvrei will make a pineapple vanilla macaron (in addition to many other flavors), Pix will make a foie gras macaron and Petunia’s Pies & Pastries will have an array of vegan macarons available just for that day. Most importantly, each shop will offer one free macaron to each customer who donates to Meals on Wheels People, a Portland nonprofit that delivers 5,000 meals daily to needy seniors. Follow the action on social media at #MacaronDayPDX, or visit macarondaypdx.com for more details.